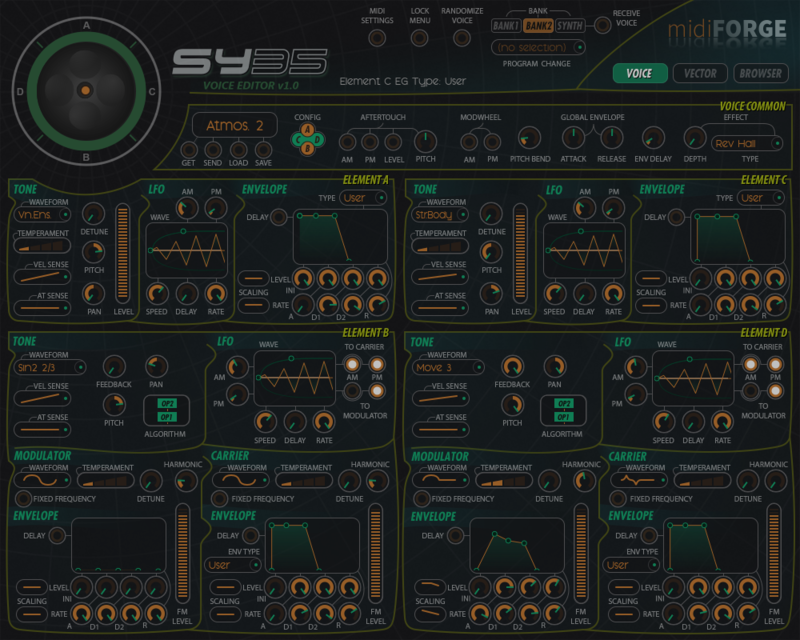 SY35 Voice Editor only works with the Voice Mode of the synth, not with Multi Mode. 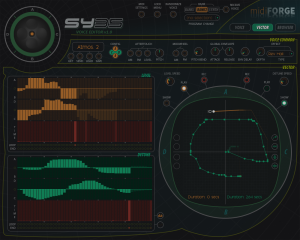 Load and save individual voices in .syx format. Load and save voice soundbanks in .syx format. Receive voices from the synth. Send voices to the synth. SY35 Voice Editor lets you edit all voice parameters (even those hidden and not editable from the synth!!) and save the latest edit status within the application. This means that you can easily recall the latest status of the previous edit simply by opening SY35 Voice Editor. · Graphic vector editing page. Lock any section of the synthesizer sound engine. For instance, lock Element A Envelope and Element B Carrier section. When loading or receiving a new patch, the locked sections will not change. 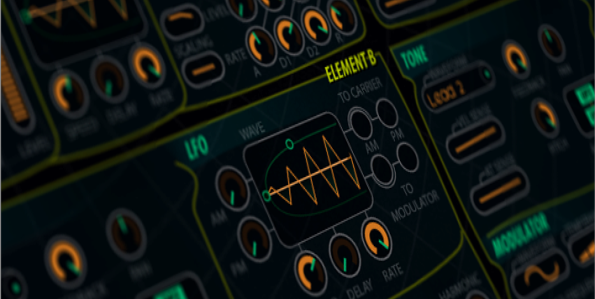 Do you like the Level vector path of a voice, or Element B Carrier section? Lock them and test any patch with those settings. 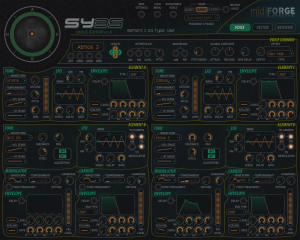 SY35 Voice Editor provides a Patch Randomizer similar to the one present on the synth. It can be used in conjunction with Parameter Locking section to select which groups of parameters will be randomized. SY35 Voice Editor let’s you copy&paste Elements and Envelopes. The zip file below contains both stand-alone and VST plugin version for 32 and 64 bit Windows systems, as well as a short manual.